Home-made potato chips with our panni’s, in contrast with our previously served commercial packaged chips. Expanded offerings of piadini’s (a flat-bread topped with pizza-like condiments and salad. Piadini’s are not made with pizza dough. And, most significantly, now offering individual size pizza served with our signature house salad. We are also offering daily specials. You know like a restaurant! On April 14, 2018, Frogtown will commence offering Italian Bistro dinners on Friday, Saturday, and Sunday evenings from 5:00 pm to 8:30 pm. This dining experience is in addition to our lunches and Sunday Brunch. Tastings will only be available at the tasting room bars during usual hours – until 5:00 pm on Fridays and Sundays and 6:00 pm on Saturdays. Our extended hours are solely for dinning. Our desire is to establish a different dining experience at Frogtown: enjoyment of great food and wine without the hustle and bustle of tasting room activities. We want our Citizens to sit and relax and enjoy their early evenings at Frogtown. Early Spring, Summer and Fall evenings at Frogtown viewing the settling sun overlooking our vineyards, perfect! Table service especially applies for dinner; a Frogtown Associate will take your orders and check you out at your table. You will be delighted by our selections of Pizza, Calzone, Cannelloni, Lasagna, and other pasta dishes, signature Onion Soup, Charcuterie and Cheeses, various salads, and more. Our Italian Bistro dinners will be a casual dinner format especially convenient for concluding a day of tasting wine at Frogtown or other surrounding wineries (we always like our Citizens to sample other wines; as one of Frogtown’s slogans is “taste the difference”). Never a bad idea to reinforce how special Frogtown’s 100% estate-grown wines are in comparison to other wines, whether you are in North Georgia or in Northern California (heard of Napa or Sonoma?) or the Central Coast of California (thumbs up for Paso Robles!). We have accomplished our expansion of food offerings with fresh proofed pizza dough, fresh made pasta, and house cured meats and other condiments. Cans or jars, what are they? Yeah you know, food the Frogtown Way, always made from scratch and fresh. You should find it interesting that Cydney and I, last year, attended the National Pizza Convention in Las Vegas, to further our education about what “others” do in preparing and serving pizza. We were amazed and disappointed with the pizza samplings at this Convention. In these days of the emphasizing how quickly, efficiently, and economically food preparation can (but should not) be made, we were astonished to discover the predominance of pre-baked pizza crusts that are relied upon by restaurants in this Country. These crusts are usually frozen pre-baked pizza crusts which are, at best, ordinary and mediocre that do little to enhance the taste and enjoyment of interesting pizza toppings. If you concentrate on the crust while eating pizza, you will be able to identify these pre-baked frozen pizza crusts; flat, ordinary in appearance, little flavor, and most significantly, the condiments sought of “lay on top” of the crust and do not become a part of, or integrated with, the crust. Only pizza made with fresh proofed pizza dough can deliver the distinct integration of pizza dough and condiment topping baked together. Most restaurants can and do have interesting condiment toppings but lack the essential fresh proofed pizza dough experience. I am not talking about your local, usually hole in the wall, pizzerias (these pizza establishments that make pizza the right way focusing on fresh proofed dough and usually make nothing but, or predominately only, pizza or pizza dough food offerings). The restaurants that I am calling out are usually casual food establishments that serve pizza in addition to a number of other food items. Citizens simply should not let their family and friends eat pizza made with pre-baked crusts. Yuck!!! When: 5:00 – 8:30 pm, commencing April 14, 2018, and continuing each Friday, Saturday, and Sunday, thereafter. Reservations are not required but greatly appreciated. Think about celebrating a special event for dinner; we may even be able to make some special food offerings with advanced notice and well-attended special event dinner parties. Great chef driven, made from scratch, food at a reasonable price, along with a fabulous bottle of Frogtown Estate Wine without restaurant mark-up. Does not get better than that. Bring your family and friends, let them “taste the difference” in our wines and food offerings. Please visit often and do not forget our Sunday Brunch Offerings.  What is occurring in Frogtown’s vineyards? Cydney and I moved from South Florida to Georgia in the winter of 1973, immediately after the great ice storm of that year. Well, OK North Georgia is colder than South Florida, but where is the sun? In fact, I think we did not see the sun at all until April of 1974. Did we think about moving back to South Florida; no, it is better stated: did a day go by during our first Georgia winter that we did not think about moving back to South Florida. Grey skies, cold days, colder nights, lots of rain, welcome to winter in North Georgia! Stayed, we did. Practiced law and manufactured infants and toddlers clothing, we did. Make wine and operate a hospitality business in North Georgia, we do. This winter in Dahlonega, though not as severe as the winter of 1973/1974, reminds me of our first winter in North Georgia. It has been a rather cold, grey winter, with lots of rain. The pundits tell us grape growers cold weather is good for grape vines so long as the low temperatures do not approach single digits for a prolonged period of time. Prolonged single digit cold weather in North Georgia simply does not occur. Prolonged rain in the winter is generally not a problem with the vines, but is a problem with farming. Farming activities on steep slopes in raining conditions does make winter pruning, tractor activity (on slippery slopes), tearing up grass with tractor tires, and compaction of wet soils, a farming nightmare. Like a lot of our farming challenges of growing premium wine grapes on the Dahlonega Plateau, we simply must, out of necessity, confront such winter conditions and make things happen as professionally as possible. Simply stated, this winter in North Georgia can be described as rainier and colder than what we have experienced in a rather long time. The winter months commenced with virtually no rain and rather warm temperatures, during the day and at night. In the last three-weeks the temperatures have fallen and some rains have occurred; not rain like Georgia, of course, but it is welcome and a blessing that Paso Robles has received some rain. Winter rain in Paso Robles, heavenly for grape vines. More rain is forecasted for the rest of March. Unlike Georgia, this winter in Paso Robles has been good for farming, but the relatively dry warm winter is not really good for the vines. Warm winter temperatures promote early bud break, which in turn puts the grape vines at risk for frost damage. Some differences to what wines I initially thought would be made as reported in the December 2017 Winemakers Notes. In winemaking, as in wine growing, everything is subject to change. These wines, along with the 2014 Bravado, previously released, the 2014 Penchant, soon to be released, and the 2014 Touché, will be included in Wine Club releases over the next year. Question: Does Frogtown have a red wine from its 2014 and 2015 vintage that will continue the string of Double Gold Medals in San Francisco received in the prior three years? Will it be four years in a row? Mums the word from me, don’t want to jinx any of these wines. We have bottled our first 100% Estate wine from California. A Marsanne, Roussanne, Viognier blend from our Geneseo Vineyard. Let’s call this wine MRV Geneseo, for lack of a better name. Yum, big white wine, 16% alcohol with gobs and gobs of Marsanne, Roussanne, and Viognier well integrated flavors of Pear, Apple, Melon, Hazel Nuts and Almonds; and an intense aroma of flowers on the nose. Made in 100% new French oak coopered especially for white wine; this wine also enjoys a sensation of well integrated oak on the palate, smooth mouthfeel, and a mineral finish. Wow, similar to Frogtown Dahlonega MRV, with its light golden hues, only much more intense. This wine should be released in the May 2018 Shipment to our Extended Mixed Red and White Wine Citizens. Only 55 cases made. There should be some additional cases available for you our Red Wine Club Extended Members. If ever a wine named MRV was a red wine drinker’s white wine, this 100% estate California wine is IT. By the May 2019 Shipment, the Extended California Wine Club Citizens, Red Wine and Mixed Red and White Wine Citizens should be receiving 100% Estate Grown Wines, Red and White, on a continuing basis, as the California vineyards will be more developed and some of 2017 reds now in barrel should be ready for bottling and release. The California protocols for barrel aging red wines are less (shorter) than the two to three years oak aging for our Georgia wines. Frogtown released the following white wines from our Dahlonega Plateau vineyard to our White Wine Club Citizens in this February 2018 Shipment: 2015 Viognier, 2015 Inclination and 2015 MRV. The Red wines released from the Dahlonega Plateau vineyard to our Red Wine Club Citizens are Shotgun 4th Reload, Merger First Acquisition, and 2014 Frogtown Bravado. Our mixed Red and White Wine Club Citizens received a bottle of 2015 Inclination in place of the Shotgun 4th Reload. I have discussed the 2015 Viognier, 2015 Inclination and 2015 MRV in prior Wine Maker Notes. 2015 was a great vintage for white wines. Above I have provided information on the 2017 MRV from our Geneseo, Paso Robles vineyard. It is very interesting that the characteristics of the 2015 Frogtown MRV and the 2017 Geneseo MRV are very similar; the Paso Robles MRV being more concentrated with higher alcohols. Lovely flower nose, pear, melon, and apple on the palate and a very mineral finish. Shotgun, 4th Reload won a Gold Medal at the Critics Challenge in 2017 and is somewhat a throwback to earlier bottlings of this unique Tannat, Touriga Nacional wine. This wine is always very big and full bodied with a surprising elegant flowery nose. One does not expect this type of aroma on the nose with such a dark fruit full-bodied wine. Shotgun goes very well with fatty meats, and I like this wine with a spicy bowl of beef chili, the acid level of the wine is just right to cleanse the big flavors of the Chili from your palate so you can taste and continue to enjoy the chili flavors again, and again. The 2014 Bravado is just plain delicious and the third time we bottled this Sangiovese/Tannat centric Super Tuscan style wine. Does any winery anywhere bottle such a unique big, bold Super Tuscan? Enjoy!